Now you no longer have to feel guilty about your diet with this instore promotion of Goldsteins Deli Breakfast Pizza. And if you ask you might even get a slice topped with a Sunny Side Up Egg. 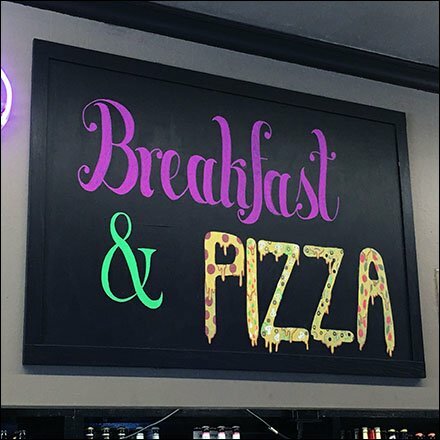 But whatever style pizza you choose as a breakfast side, your secret is safe with the local proprietors. This Goldsteins Deli Breakfast Pizza is eat in or take out in Kingston, Pennsylvania.